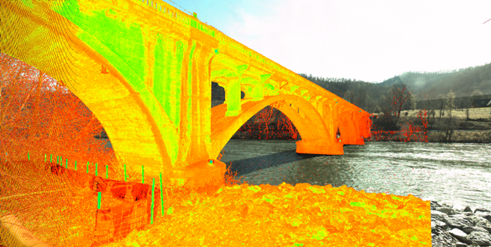 W&A offers solutions for your as-built environments with high-precision surveying based on 3D laser scanning. Wilson and Associates has utilized 3d laser scanning on more than ten TDOT bridges over the last four years, and daily on a $2 billion dollar chemical plant as part of the QA/QC process. Our state-of-the-art 3D laser-scanning capabilities can quickly produce highly accurate data-rich files collected in a safe environment. 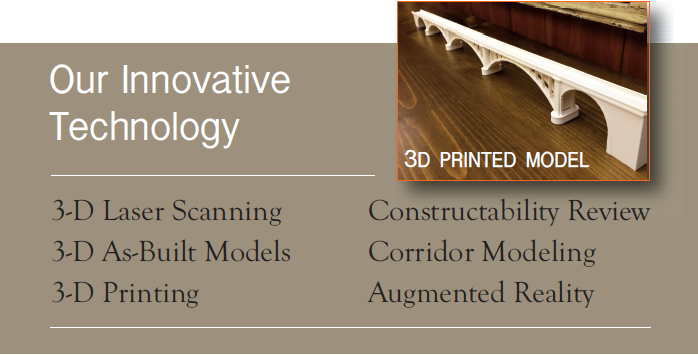 3D scanning also requires less manpower, resulting in cost savings over traditional survey methods. productivity, a wider variety of services, a higher-quality work product, and creative solutions for clients. Wilson & Associates is at the forefront of these advances in surveying methods, diversifying beyond the standard survey services. And, W&A has crews working throughout the Southeast and is, therefore, always within reach to assist in your project. Henley Street Bridge When TDOT began a major rehabilitation of the 1932 bridge in 2011, W&A as-built the entire structure with a 3D laser scanner, gathering 40 million points of data on the spandrel bents, piers, and arches. 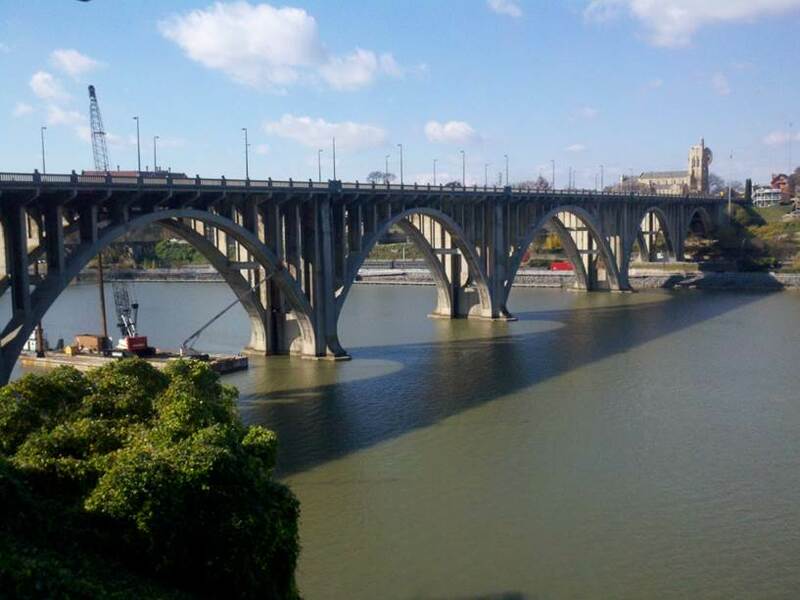 The bridge which spans over 1800 feet across the Tennessee River was to be rehabilitated with new components constructed with an accuracy of less than one quarter inch. W&A was tasked with providing data to build back the Henley Street bridge as it was originally constructed. This data was used to generate as-built drawings for the contractor to reconstruct the bridge. Wolf Creek Bridge All reconstruction of this 1928 bridge in Cocke County, Tennessee, were to match and be based on the foundations of the remaining items. W&A used ground-based laser scanning to as-built the structure, giving a greater redundancy of measurements to insure that the bridge would match the existing foundations. Using traditional techniques would have yielded about 200 to 300 points of data. The laser scanner provided more than 21 million points of data. We delivered as-built plans with the necessary elevations and dimensions to precast the reconstructed bridge components thus saving the Contractor months of time. Chemical Plant For three years, W&A used extensive scanning applications to help construct, check, and as-built a new chemical plant in the Southeast. Through the advanced technology of laser scanning, W&A checked plumb values for steel and concrete structures, created anchor bolt and bolt-hole as-builts, embed as-builts, precast building models, theoretic site control, and pipe as-builts, all needing to be set within a tolerance of one-eighth of an inch. Additionally, W&A used the 3D laser scanning to as-built and modify a 32-foot diameter storage silo. From the as-built data W&A was able to deliver drawings that were used to modify 16 3-inch diameter anchor-bolt holes thus allowing the silo to fit the erected steel perfectly. This process saved the owner months of delays and expenses.